Water is one of the most important natural resources and wasting it is nothing short of a crime. According to the U.S Geological Survey, the average American uses up to 100 gallons of water everyday at home. We all know that water is essential for good health, productive societies and profitable economies. Now, just imagine a life without water or even one where water is available in a limited supply. It does seem bleak. However, if households the world over continue wasting water, this bleak scenario will become a harsh reality. Here are 10 of the most common ways in which people waste water at home. 1. Leaving the Water Running. One of the most common ways in which people waste water is by leaving the water running when brushing teeth, shaving or doing the dishes. All that is need to change this habit is a conscious awareness. Turn that faucet off as soon as you start brushing, shaving or doing the dishes. For rinsing the dishes, fill one sink with clean rinse water and one with soapy water. For rinsing your mouth, simply keep a glass of water at hand instead of drinking directly from the faucet. For rinsing the razor while shaving you can easily fill the sink 1/4th full and use that water. 2. Car Washing. Using a hose to wash the car can use up gallons of water. According to EarthEasy.com, if you leave the hose running, you can end up wasting 150 gallons of water! However, if you use a simple bucket and sponge to scrub the car can not just get your car clean but will also give you some good exercise while saving water. 3. Showers. Did you know that showering longer than 5 minutes wastes 5 to 10 gallons of water? According to EarthEasy.com, every extra minute contributes to water wastage. You can either invest in a low-flow shower head, aim for quick showers or simply bathe using a bucket and pail. According to WaterUseItWisely.com, a water-efficient showerhead can help save close to 750 gallons of water a month. 4. Cleaning the Outdoor Area. Using the hose to clean the yard, driveway or patio can waste hundreds of gallons of water on a weekly basis. Instead, if you simply sweep these areas clean, you’ll save water, get some exercise and save a huge amount of water. 5. Laundry. We all need clean clothes but cleanliness doesn’t have to cost gallons of water. When you run half-full loads of laundry, you can end up wasting 1000 gallons of water a month. If your washing machine has the option, do match the water level to the wash load. 6. Dishwashers. As in the case of laundry, running a half-full load of dishes in the dishwasher is a sheer waste of water. For a small number of dishes, simply wash them by hand. 7. Leaky Faucets and Toilets. One of the most common culprits of water wastage at home is the leaky faucet and toilet. It may seem insignificant but the little drips can actually add up. According to the U.S Geological Survey, a constantly leaking toilet can waste up to 22 gallons of water every day which adds up 8000 gallons of water in the year! 8. Watering the Lawn. Lawns look lovely but when you consider the amount of water that goes waste by watering them improperly, it takes away some of their loveliness. WaterUseItWisely.com offers plenty of suggestions to save water while watering the yard and garden. Some of them include watering lawns deeply instead of frequently, avoid watering when its windy since most of the water will get blown away, watering in the morning or evening, and checking the roots of the lawn for moisture before watering. 9. Kitchen Water Wastage. The kitchen uses a lot of water and there are plenty of ways in which one may unknowingly waste it. Washing fruits and vegetables in running water will not get them any cleaner than washing them in a pan filled with water. If you feel better only when you wash fruits and vegetables under running water, then at least collect that water and use it to water potted plants. Cooking also uses a lot of water, especially when you boil or steam vegetables. Reuse that water when making a curry or a soup. You’ll get valuable nutrients while saving water as well. Using inefficient appliances can also result in a lot of water wastage. According to the U.S Geological Survey, homeowners should check for appliances with the WaterSense label and invest in those to economize the use of water. 10. Kiddie Fun. Children love to cool off and splash around in the water. However, water fun can be expensive. Instead, you can let them have their fun by running the sprinklers on in the driest part of the lawn. Or let them help you with washing the car with a bucket and sponge. They get to play in water while you can feel good about saving it at the same time. Also, kids often tend to turn the faucets lightly leaving them dripping. 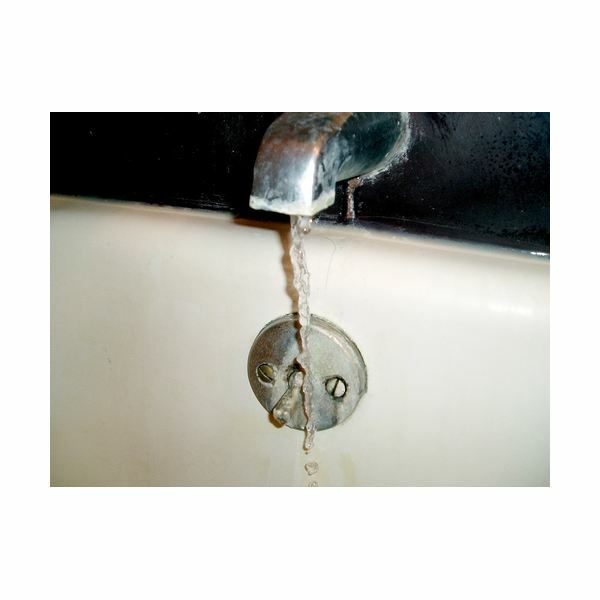 Teach children to turn the faucets tightly and check for a drip before they walk away. Taking care of these common culprits can help every homeowner stop wasting water and save hundreds of gallons of water without compromising on quality of life or basic needs. It is easy, effortless and economical to save water while being more eco-friendly as well. So, do check your home to see if you waste water in any of these areas and take immediate steps to stop. U.S Geological Survey: Water Use at Home. Water Use it Wisely: 100 Ways to Conserve.